A slowdown in European economies and fallout from US-China trade war has upped the risk factor for ocean carriers this year, according to the latest analysis by research and consultancy firm Maritime Strategies International (MSI). The consultant says there could also be softer demand on secondary lanes this year, which will add to the industry’s woes. In its latest Container Shipping Forecaster, MSI says that, while demand on the major trades “remains fragile”, non-main lane demand presents “an increasing source of risk for container markets”, combining to give an overall “clouded demand outlook”. After a positive end to 2018, MSI says it expects “headwinds to grow” as the year progresses, not only on the two largest east-west trades but also on Middle East and Latin American north-south routes. “The Chinese New Year will dominate developments in freight markets in the coming months, although we expect the tariff-related disruption on the transpacific will counteract the standard run up in rates prior to the seasonal factory closures,” said MSI analyst Daniel Richards. “We expect a more traditional seasonal profile on the Asia-Europe headhaul, with rates seeing further upside movement prior to the holiday, although concerns over European economic growth could weigh on shipment volumes,” he added. Despite the challenging mid- and longer-term outlooks, ocean carriers have started the year on a much firmer financial footing than 2018, when container lines suffered two quarters of severe losses for a disastrous cumulative $1.2bn deficit for the first six months of trading. 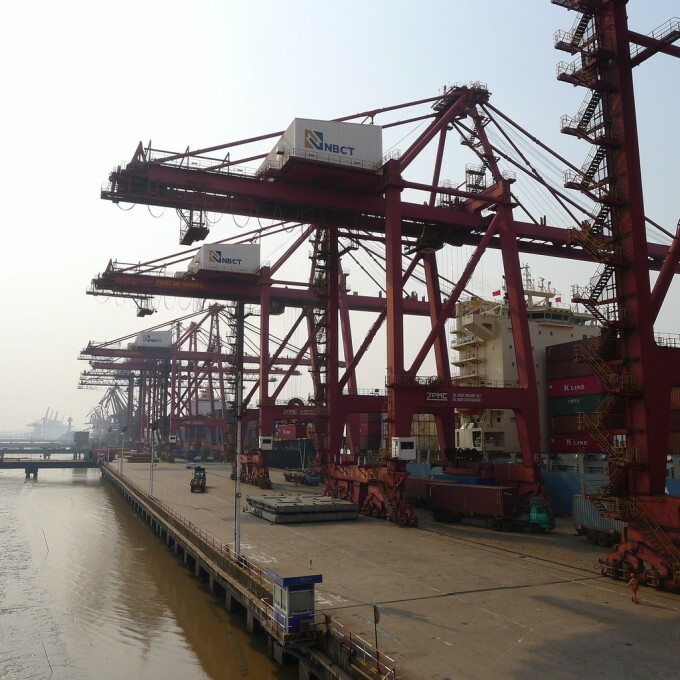 Indeed, Asia to Europe freight rates remain ahead of a year ago and are, so far, not showing any of the cracks seen last January, due to the judicious capacity management of the carriers. According to one UK forwarder, lines averaged “around $100 per teu increase” on freight rates in their annual contracts with shippers between Asia and Europe, “with forwarders seeing a slightly higher increase”. And on the transpacific, similar action from the carriers in blanking numerous sailings around the CNY period is underpinning the rate gains from the pre import tariff hike on US imports from China – currently 25% higher for the US west coast than 12 months ago. Meanwhile, container lines are enjoying an unexpected bottom line bonus from the decline in oil prices since October, that is seeing bunker costs at a third lower per tonne. Carriers blamed their extremely poor results in the first and second quarters last year – and to a lesser extent during the third quarter – on a spike in fuel costs and the delay in recovering bunker surcharges from their customers. Commenting on the annual revamping of the services and networks offered by the three east-west vessel sharing alliances Mr Richards said it should lead to “greater market activity”. And on the newly expanded agreement between the 2M partners and Zim, the analyst said that there would be “implications beyond service offerings” which could see a number of smaller vessels looking for new employment or returned to owners. “The planned service consolidations will see 25 vessels of 5,000 teu displaced and given that most are liner controlled, they will need to find new homes,” said Mr Richards.